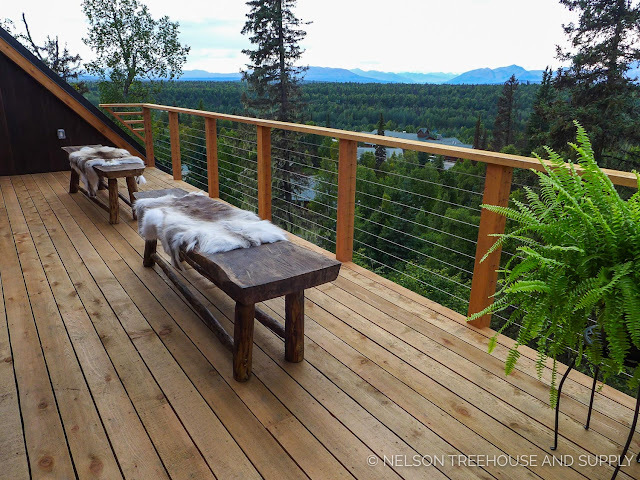 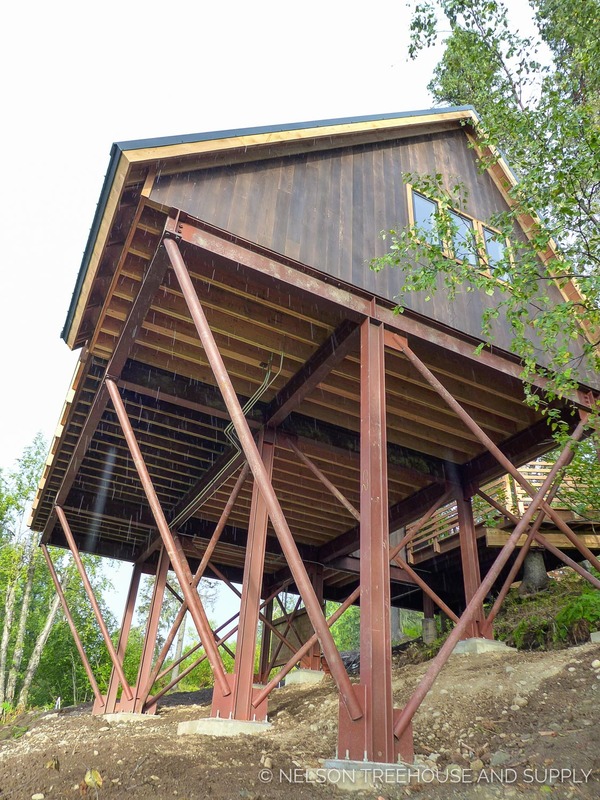 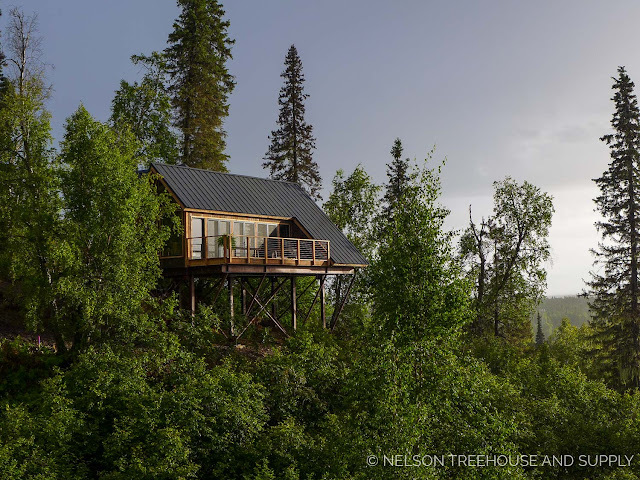 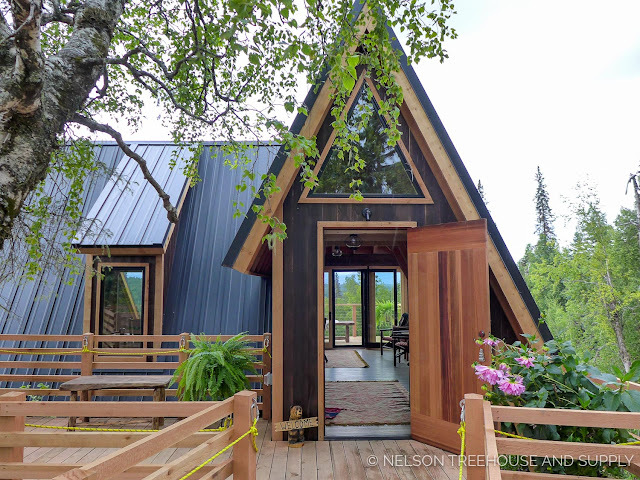 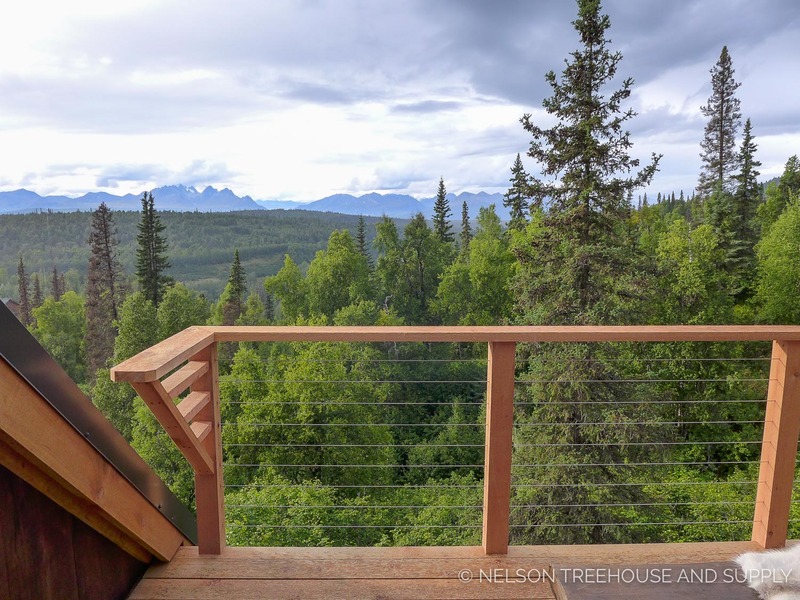 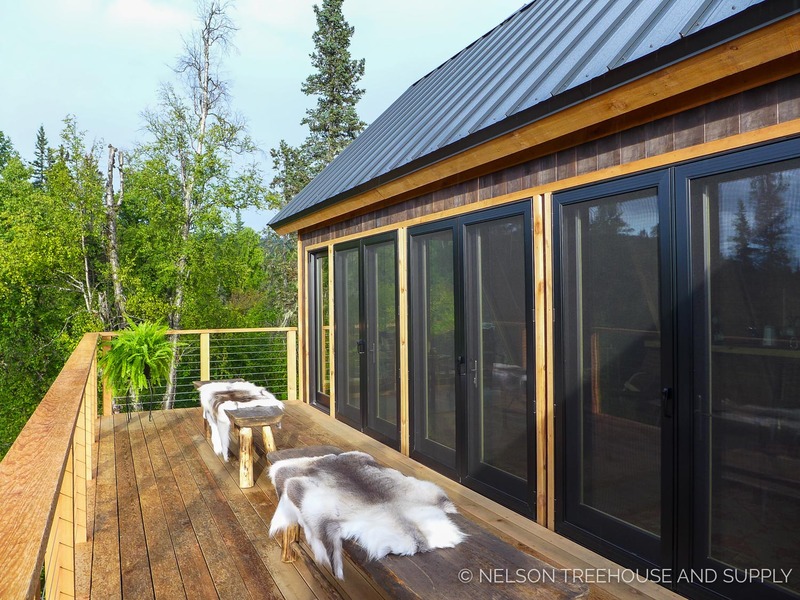 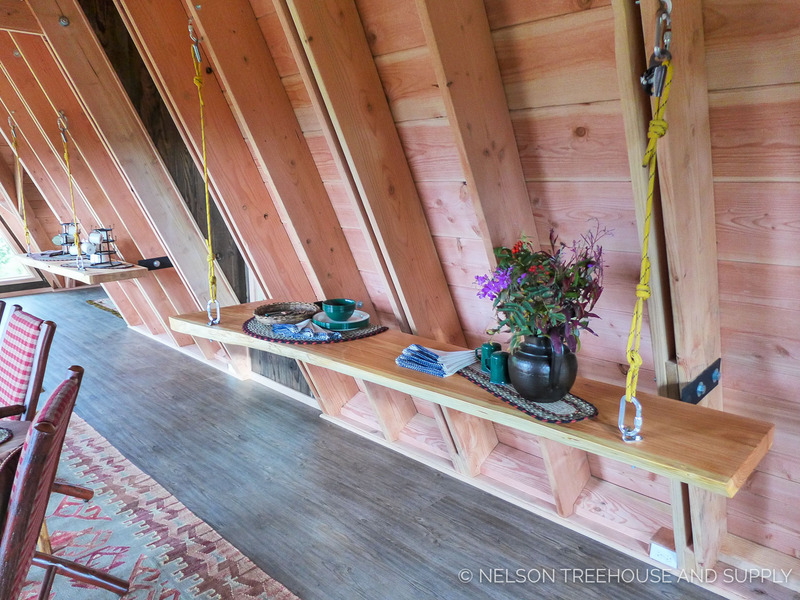 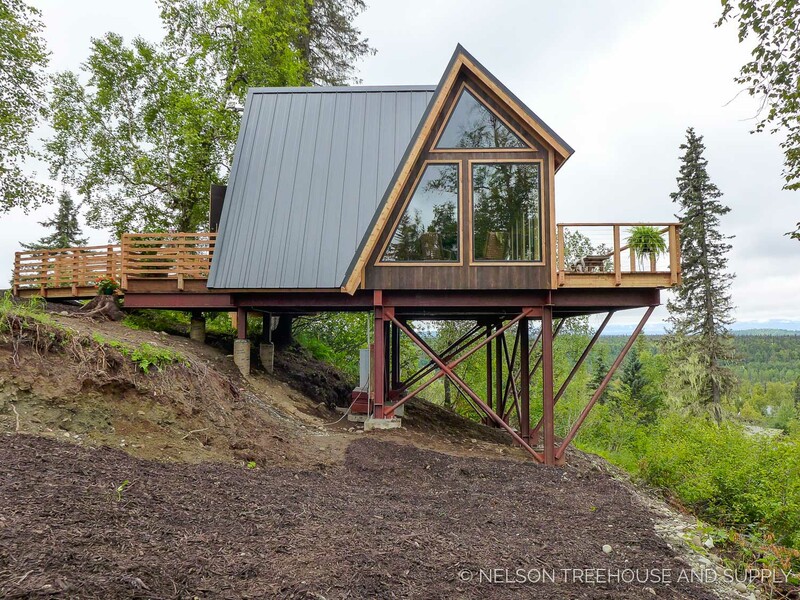 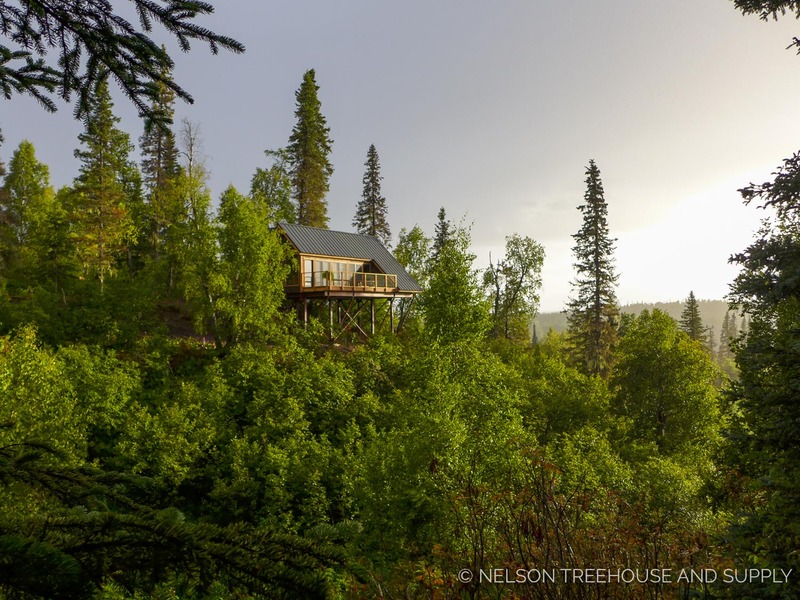 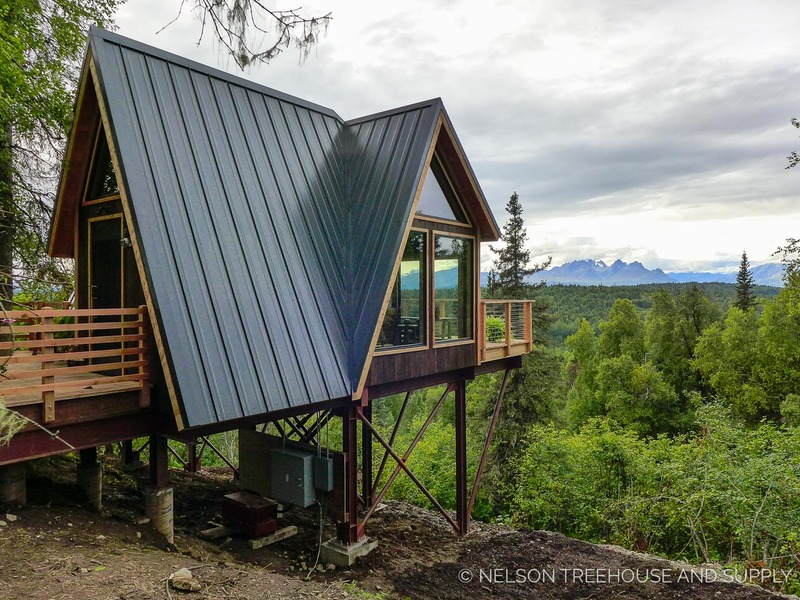 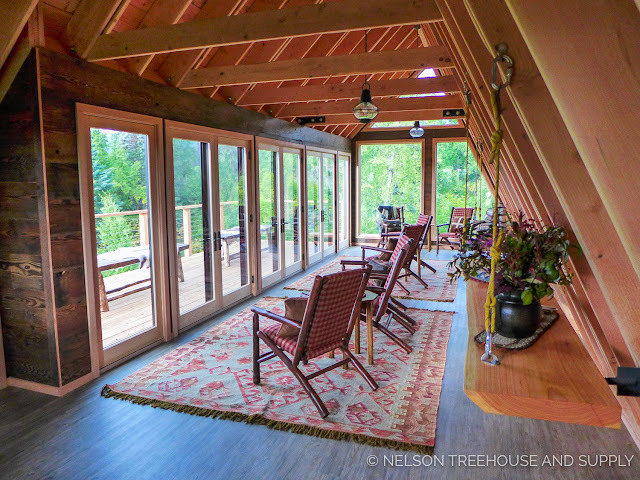 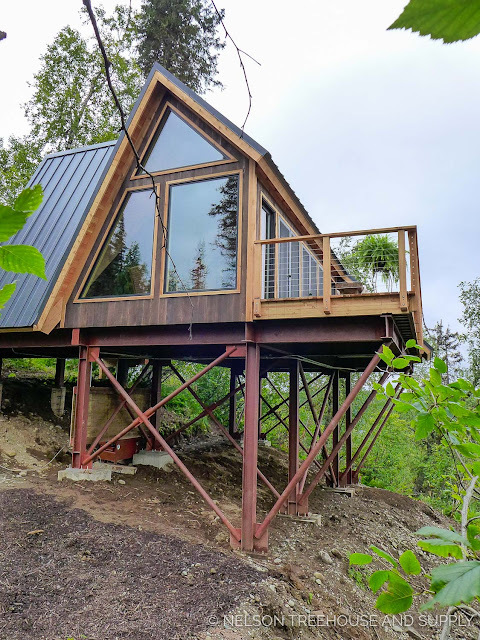 Spend some time in Alaska with stunning views of Mount Denali with this treehouse! 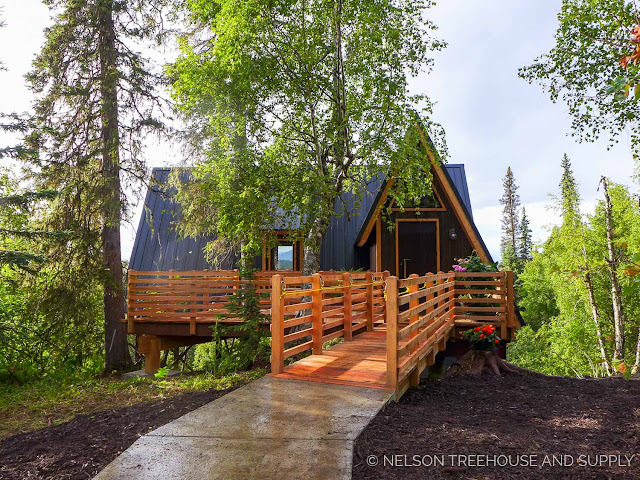 Located at the McKinley Princess Wilderness Resort, it's the perfect getaway for nature lovers, created and built by Nelson Treehouses. 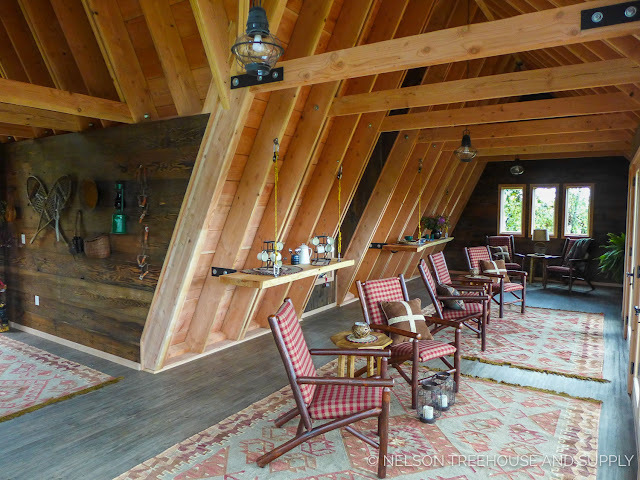 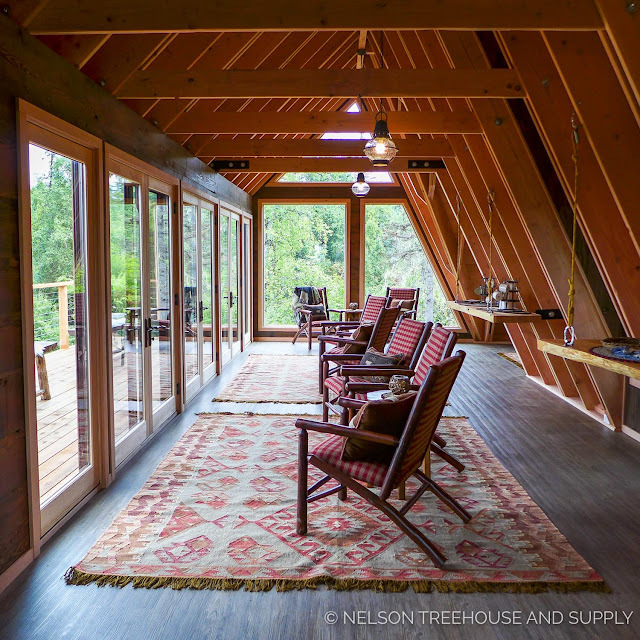 With a steep-pitched roof and exposed beams, the structure is reminiscent of a classic cabin. However, large windows help to modernize the home while opening up the space with views of the surrounding vista. 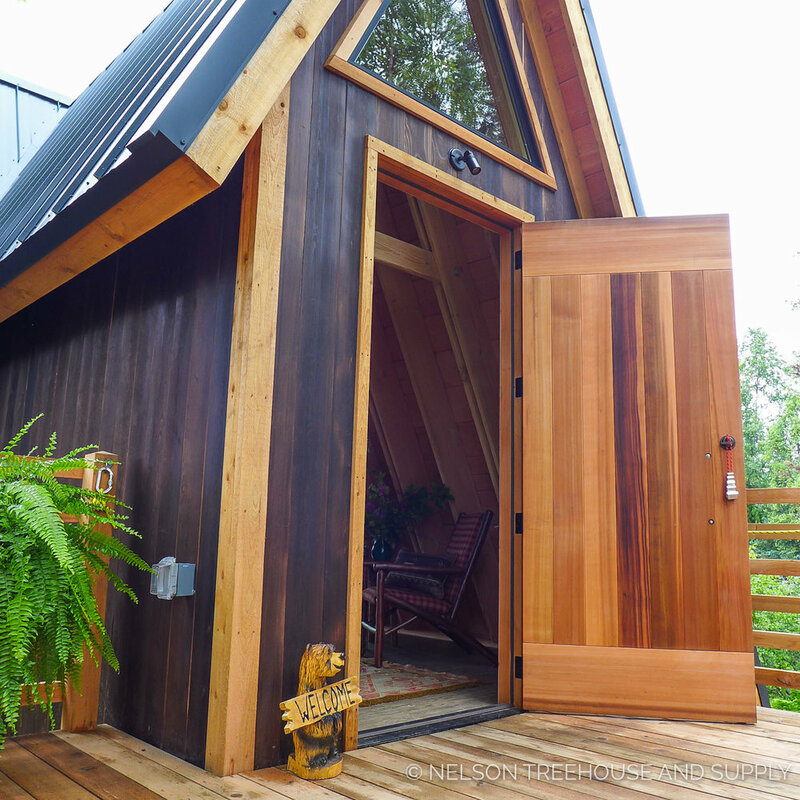 The home is constructed using almost all cedar. 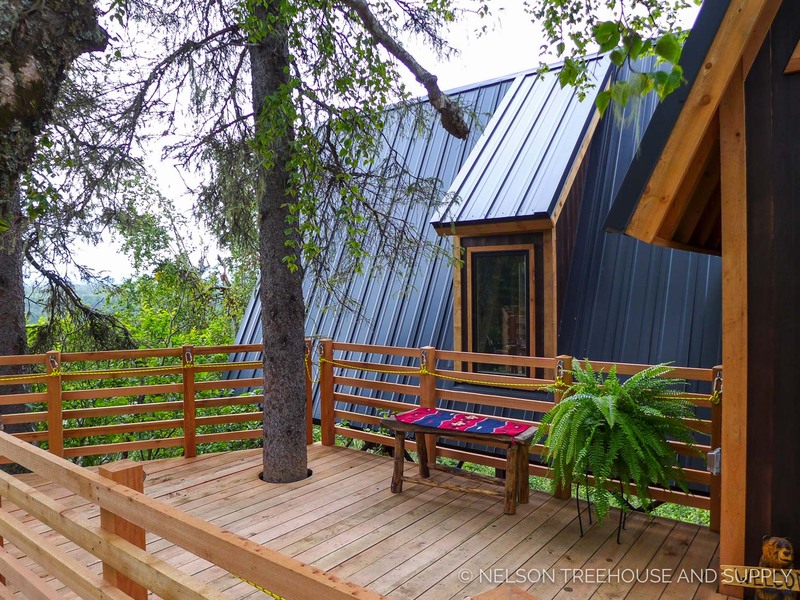 To create a nice contrast, Nelson Treehouses applied Shou Sugi ban (a Japanese method of burning wood till it darkens) to the exterior. Inside, vinyl flooring was used to better withstand the Alaskan climate. Hello and welcome to the Little Living Blog! I started this blog as a way to share small spaces and, hopefully, inspire others to live simply. 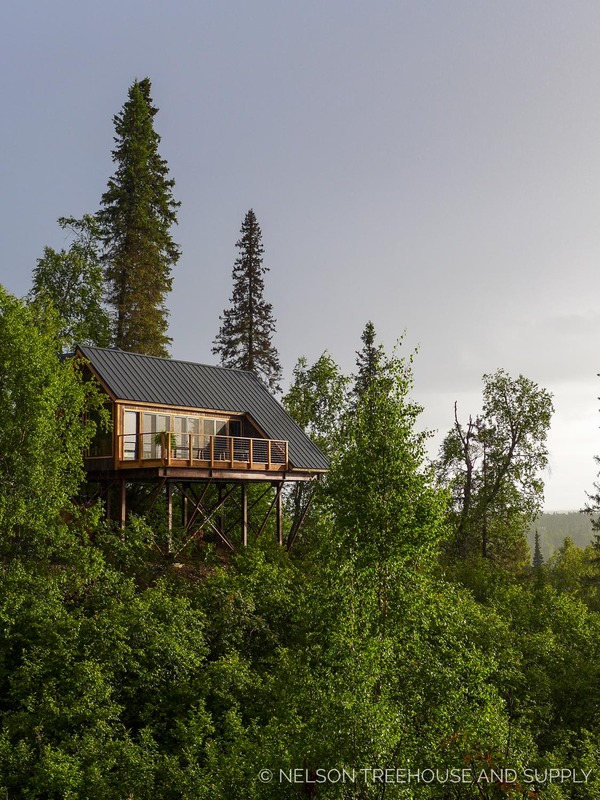 If you like Little Living, you might also like my other blog, Tiny House Town, which features homes under 500 sq ft. 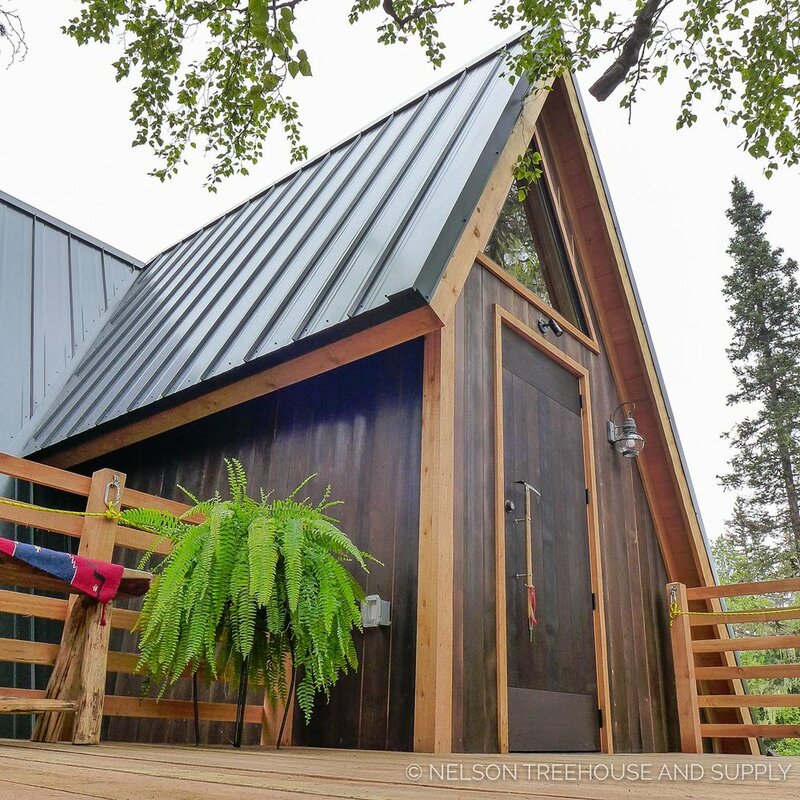 Check it out at www.tinyhousetown.net! If the plans aren't linked then there aren't any available. 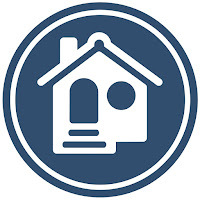 Welcome to Little Living Blog! 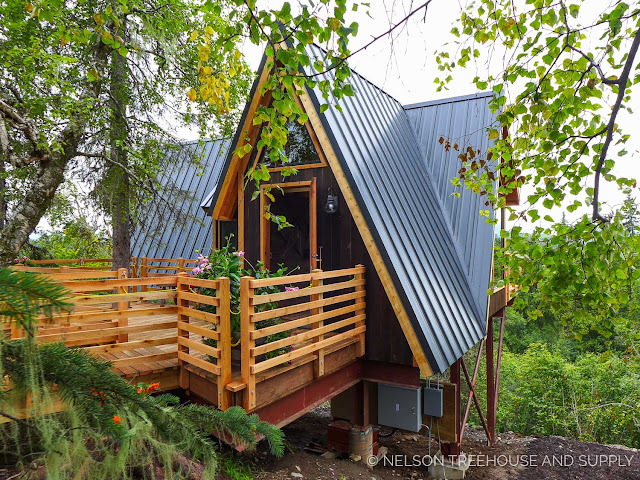 A place to share and enjoy small homes and spaces, between 500 to 1000 sq ft.